Thought we were all done with the scary tales? While this one has nothing to do with ghosts, goblins and ghouls, another frightening thing happened during this Halloween weekend. A caffeine-free coffee shop opened in New York City. 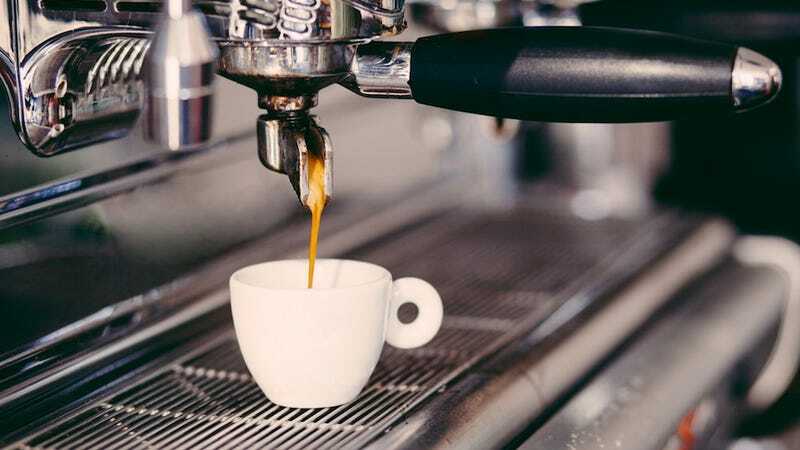 The Swiss Water Coffee Studio is a pop-up cafe where, according to the event’s Facebook page, guests will be “guided through a sensory experience that includes espresso, hand crafted manually brewed coffee and cold brew options.” — all without the caffeine. Attendees of the “Art of Coffee Without Caffeine” can learn all about Swiss Water’s chemical-free process which involves small batches, local water careful monitoring until the caffeine is removed. I wonder if visitors will have to sign a waiver of liability because this sounds scarier than a haunted house. Quartz notes a 2014 Zagat survey showing 90% of coffee drinkers to prefer actual caffeine in their coffee, so it will be interesting what the outcome will be like. The pop-up runs until November 8.